NEW picture of the stunning grand dtr of APPLE! WWS Addiction Armanda *RC *Pp VG-87-AT 2yr. Recently WWS Addiciton Armanda *RC *Pp VG-87-AT 2yr. is pictured fresh in her 1st lactation. 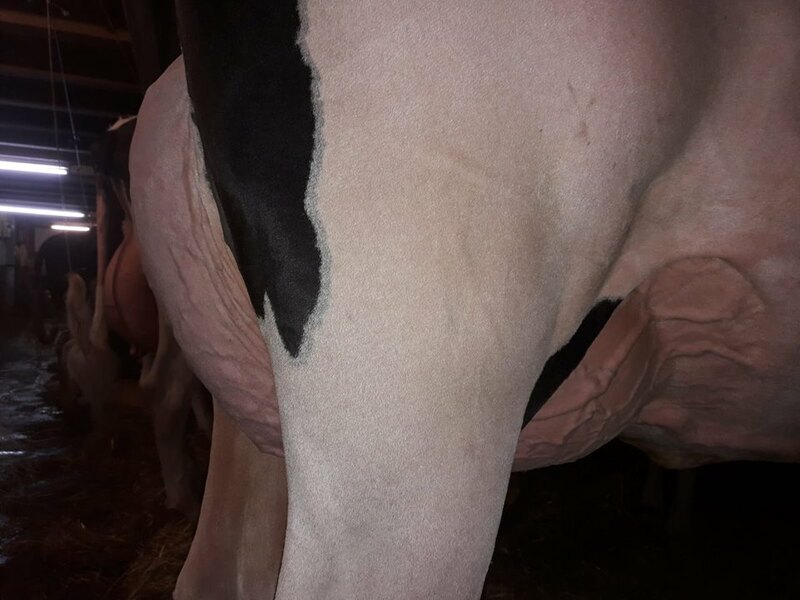 This special Polled & *RC Addiction grand daughter of Apple was sold during the German Masters Sale '16 and looks absolutely stunning! She is classified VG-87-AT 2yr. with a VG-87-MS and ready for the big shows coming up! She is owned by Schönhof Holstein & HiHu Holsteins (Austria). Fantastic show cow: already classified with VG-87-AT VG-87-MS 2yr. Apple is a sister to Advent, Acme, Jotan and many more!